Britt adds a new aircraft to her logbook by learning how to fly a Citation Mustang jet. It’s always fun to expand your piloting horizons by getting into a new type of airplane or aircraft. The experience and challenge will make you a better pilot. I had the wonderful opportunity to learn from the experts at Angel City Flyers and make the transition to the Cessna Citation Mustang jet and earn a second-in-command type rating. My instructor, Leo, led me through an intensive one-on-one two day course. We started the morning with ground school and covered a wide range of topics - performance, weight and balance, aircraft systems, and crew resource management. In the afternoon, it was hands-on in the amazing Redbird CE-510 simulator. There, I was able to go through the checklists and learn switch-by-switch the intricacies of flying the Mustang. I felt like I was taking forever to go through the checklists and finding certain switches and knobs, but thankfully, that was to be expected and Leo was patient. We flew from Long Beach to French Valley Airport, the same route that I would get to fly in the actual airplane on day two. The Mustang is by far the fastest airplane I’ve ever flown and at first it was difficult to get my brain to speed up and think as fast as I was flying in this unfamiliar aircraft. The sim has a pause button and Leo would use it a few times during the flight to allow me to ask questions and verify that the checklists and avionics were correct. 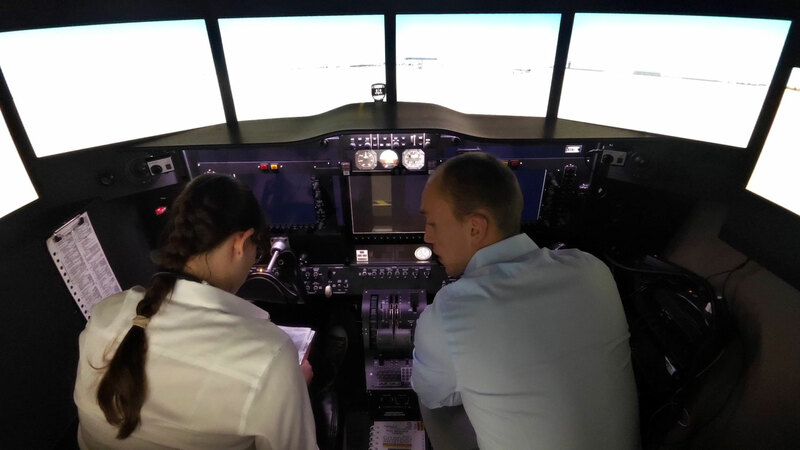 The time spent in the classroom and simulator on Day One made Day Two much less intimidating. I learned a lot during our walk around and thorough preflight of the airplane. It was so cool to be flying a jet! It was also a bit of silly joy to be able to practice radio calls using flight level altitudes (“like the pros”). On the second leg of our flight we practiced emergency procedures and an engine failure. I was amazed at how smooth the airplane continued to fly on just one strong engine. I also expected more of a fight with the airplane due to asymmetrical thrust, but I never had to fight it; it’s a smooth flying airplane. After training to use the checklists and setting the flight display, flight plan, and auto pilot, it was actually easy to fly. 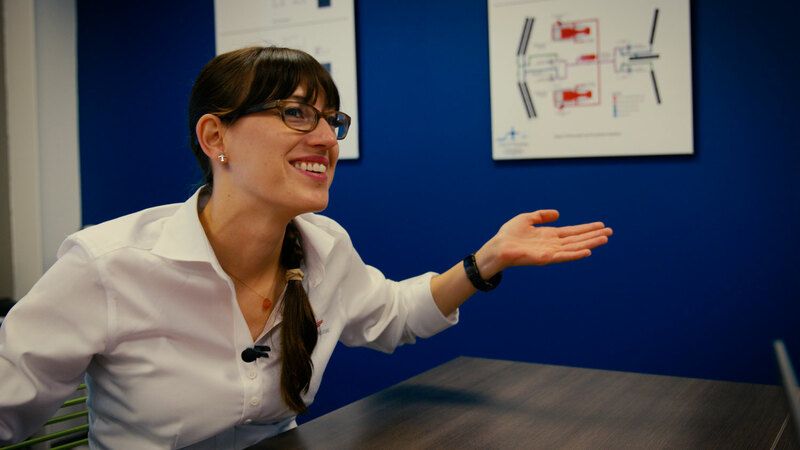 It was more about accurate programming, staying ahead of the airplane and its automation and being prepared to handle any situation outside of the norm. I liked being in that mindset and loved the new challenge. At Angel City Flyers we are committed first, foremost and always to safety. 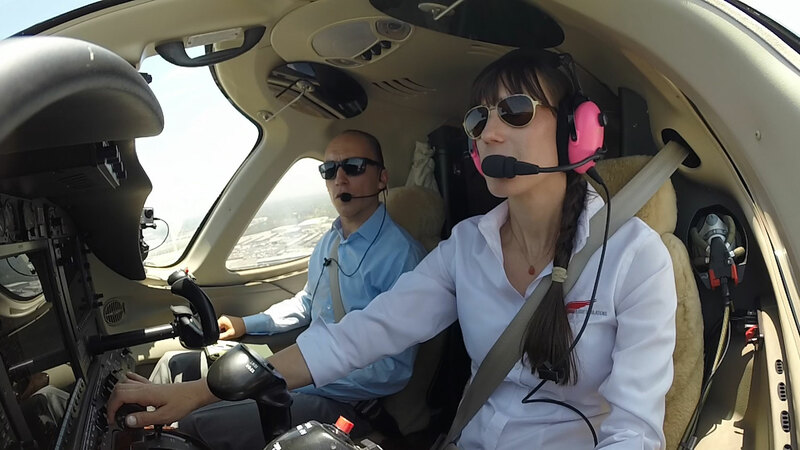 We provide a highly structured, disciplined approach to flight training. 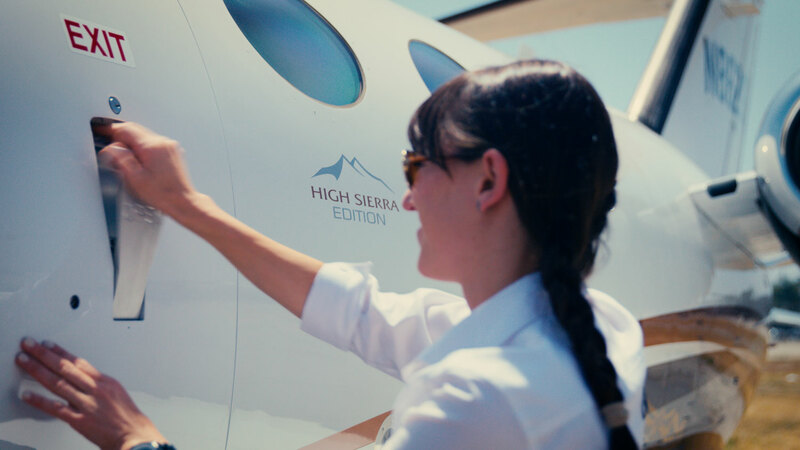 Our emphasis on training standardization, standard operating procedures and single pilot resource management produces pilots ready for real-world, commercial and private operation. Our commitment to customer service and pilot proficiency earned us the designation as the Diamond Aircraft factory training center for the southwest United States, and one of only two Diamond Brilliance Centers in the country. 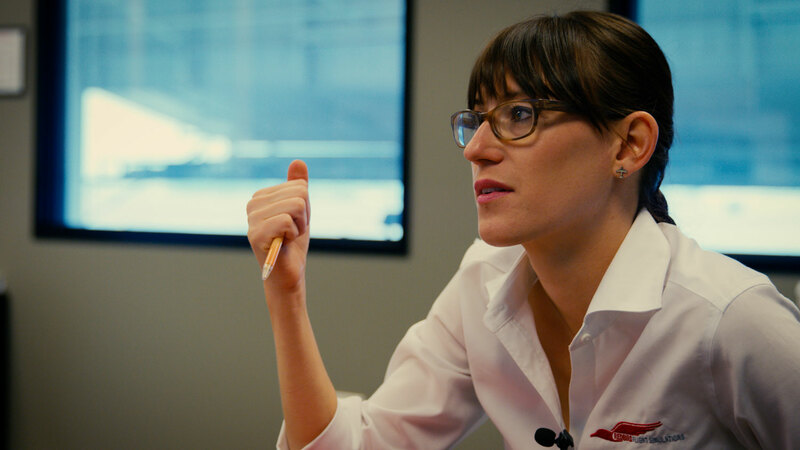 The transition from flying a propeller-driven airplane to a jet is an exciting challenge and can be a big deal – especially in the eyes of the Federal Aviation Administration (FAA) and aviation insurance companies. So what is a Type Rating and why does a jet pilot need one? The FAA requires that a person acting as pilot in command of any jet aircraft, no matter the size or weight, have a type rating on their pilot certificate. That means you must receive specific training in the airplane or an approved simulator and pass a check ride. A type rating is usually specific to certain jet model or a group of models if the jets have enough in common. A typical initial course for a type rating lasts approximately two weeks and consists of an intense regimen of ground school and simulator training. During the oral exam and check ride, the pilot is held to the highest standards and required to demonstrate thorough knowledge of the airplane and precise flying skills during instrument procedures, air work, and simulated emergencies. Typically a pilot will attend recurrent training once a year to maintain proficiency and their type rating qualifications. Pilots may also obtain a second-in-command (SIC) type rating for an aircraft that requires more than one pilot flight crewmember. According to regulations, an SIC type rating is usually only required for flight operations outside of the United States. However, many insurance companies prefer that flight departments provide SIC training to the second pilot of a crew who does not serve as pilot in command, even if only domestic operations are flown. A checkride is not required for a SIC rating. An applicant for an SIC rating will undergo crew resource management training and is required to perform three take offs and landings as the sole manipulator of the flight controls and perform engine-out procedures and maneuvering while executing the duties of pilot in command. The Cessna Citation Mustang is a very light jet (VLJ) class business jet built by Cessna Aircraft Company at their Independence, Kansas production facility. The Mustang, in standard configuration, has four passenger seats in the aft cabin, a toilet, and seating for two in the cockpit. Like most other light jets, the Mustang is approved for single-pilot operation. 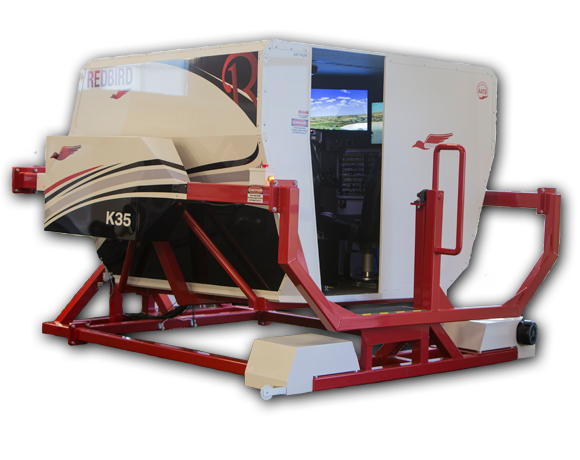 The Redbird AMS C510 is a full motion, highly immersive, cockpit-specific, FAA certified Advanced Aviation Training Device for turbine aircraft.